FRIDAY, NOVEMBER 2, 2018 - 6 to 10 a.m. Thank you to everyone who came out to support Cop on a Rooftop on Friday, November 2! 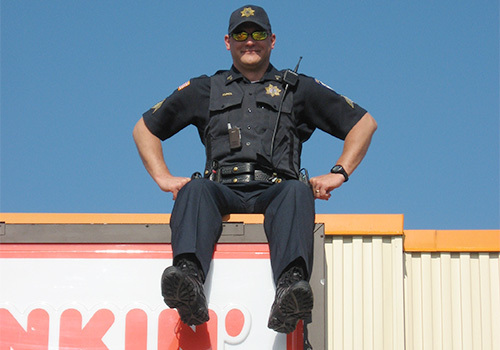 Local law enforcement officers took their levels of commitment to new heights as they staked out participating Dunkin’ Donuts rooftops to support the Law Enforcement Torch Run (LETR) for Special Olympics Southern California. With your help, this event raised $42K+ for the athletes of Special Olympics Southern California in 2018. Every dollar raised through Cop on a Rooftop helps fund Special Olympics programs in your community. 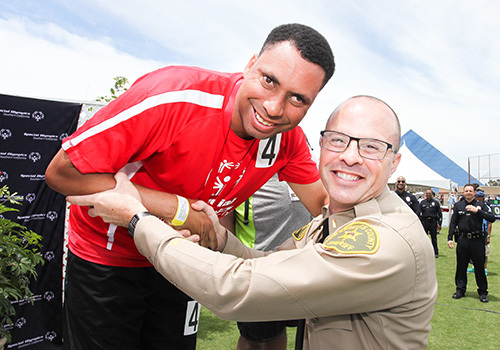 Special Olympics Southern California enriches the lives of athletes with intellectual disabilities and their communities through sports, education, and athlete health. Learn more about how we change lives. 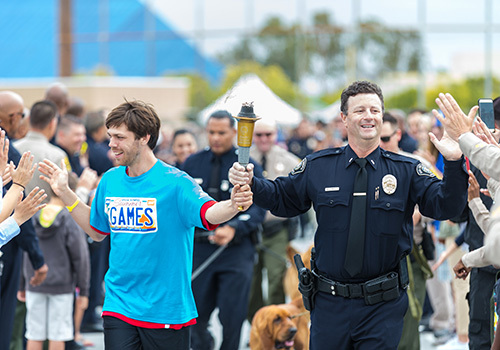 The Law Enforcement Torch Run® for Special Olympics is a volunteer movement that was established by members of the law enforcement community to support Special Olympics. The mission of LETR is to increase awareness and raise funds for the Special Olympics movement through events like Cop on a Rooftop. Learn more about LETR.